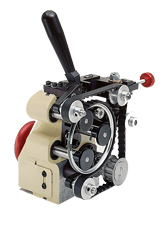 Are you winding the majority of your toroidal cores with a pull winder or by hand? Wouldn't be fantastic if up to 80% of the work could be transferred to an automatic machine? If so, then new FB Belt Winding Heads from Jovil can help. 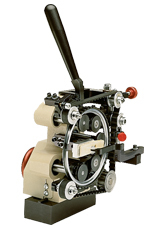 We all know that the most difficult job for an automatic toroidal winding machine has been the winding of heavy wire sizes through small core inside diameters. With these new heads, Jovil is capable of winding the heaviest wire sizes through the smallest core inside diameter.